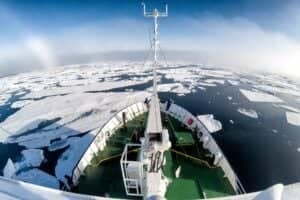 If you're getting an error message on your computer when you try to open a video shot on the GoPro HERO7 and HERO6 Black, it might be because it isn't compatible with the HEVC (H.265) codec used in some of their video modes. Here are some workarounds. 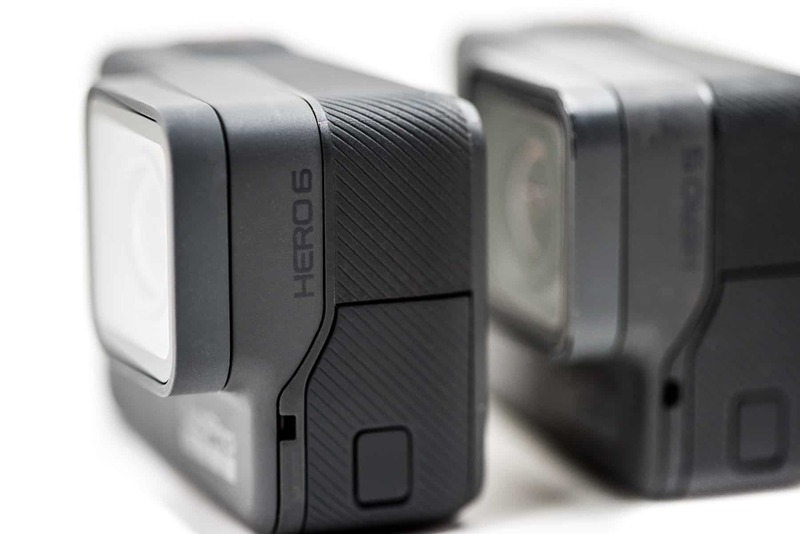 One of the new features introduced with the GoPro HERO6 Black is a different codec for the high-end video modes. It's most commonly known as HEVC (for High Efficiency Video Coding) or H.265. It's a newer, better codec, but it's still not universally compatible in the same way the older H.264 codec is. 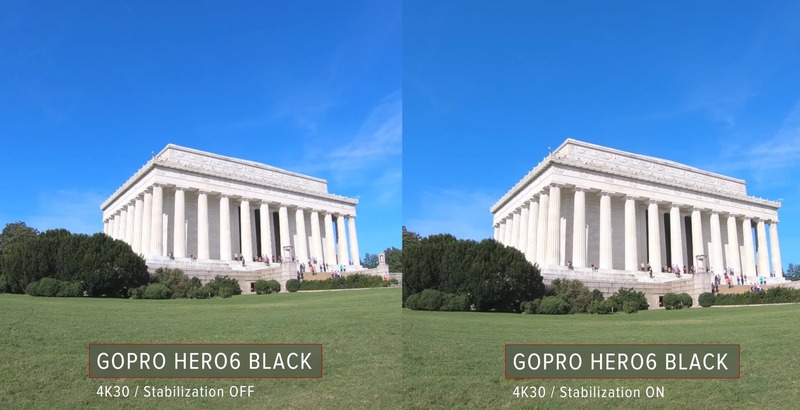 If you're having trouble opening videos shot on the HERO7 or HERO6 Black, this might be why. All the others use an older H.264 AVC codec that is much more widely compatible. It's also worth noting that GoPro videos encoded with the HEVC codec still uses the MP4 video container, so you can't tell them apart just by looking at the file extension. The H.265 codec has been around for a few years now but has only gradually been making its way into wide use. Some of the early implementations included FaceTime since the iPhone 6 and Windows 10. If you're using Windows 10 or later or Mac OS X High Sierra, support for HEVC (H.265) is baked right into the operating system, making it available for video editing apps running on those platforms, such as Final Cut Pro X and Premiere Pro. convert the file to a different format that your computer and video editor can use. 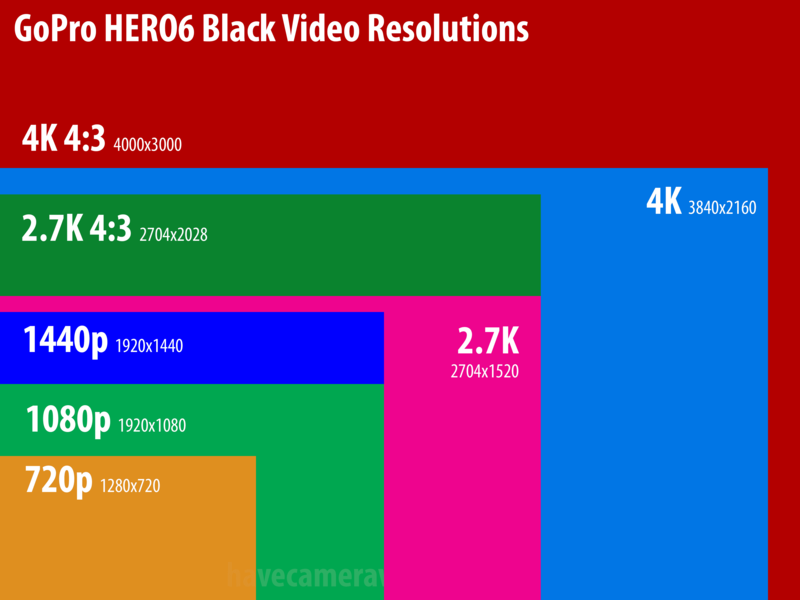 I'm focusing here on the last one: converting HEVC files to another format. Or, in video jargon, transcoding. There are a number of paid apps that can do the conversion. 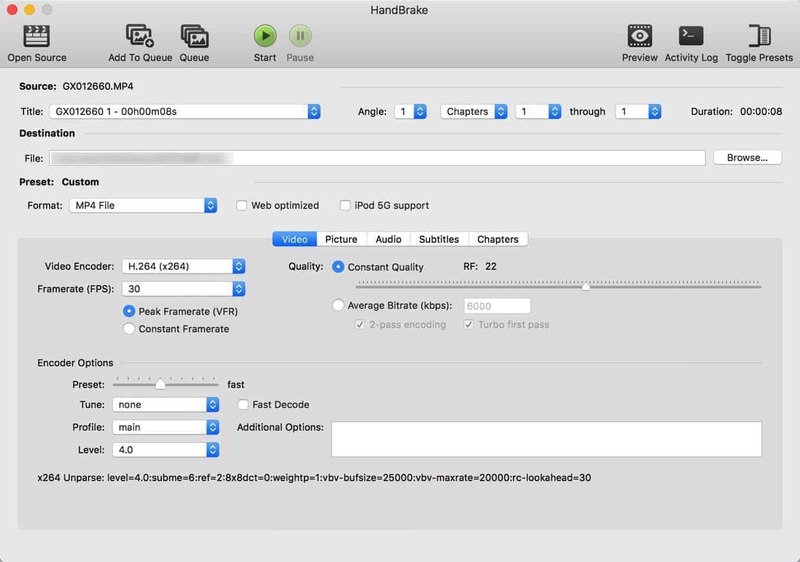 I'm focusing here on one that is free and cross-platform: the venerable Handbrake. The target formats available in Handbrake are quite limited. The most logical to choose from the available options is H.264 (x264). That's not ideal, because it's recompressing a compressed file (more on that below), but it will result in a file that is still very good quality and very widely compatible. Download and install Handbrake. You can download it here. If you're installing it on Mac OS X, you might get an error message because it's not being installed from the Mac App Store. To allow the installation, you can go to System Preferences > Security & Privacy > General. If it's just blocked you from installing it, you should have a convenient "Open Anyway" message specifically for Handbrake. Click on the Open Source button. Select the file or files to convert. 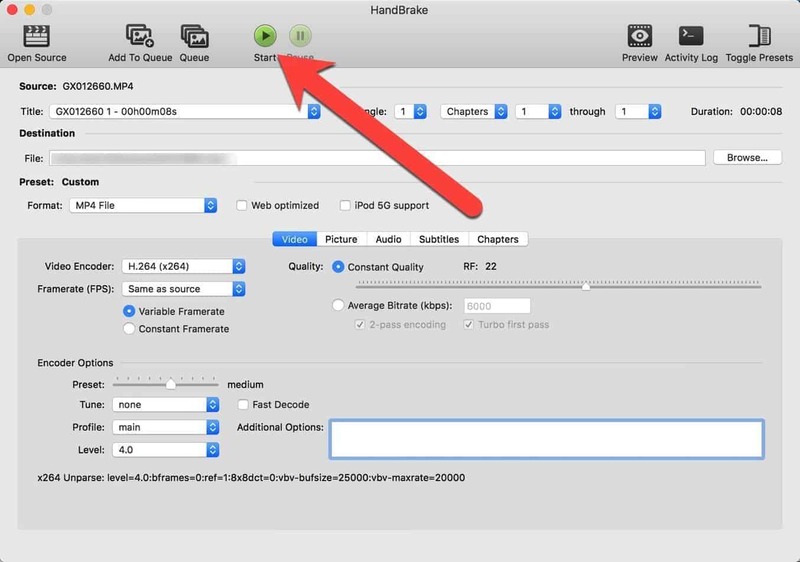 After you've selected them, Handbrake will do a quick scan of them to gather the information about the encoded file and enter some of that information into the appropriate fields on the screen. Choose encoding settings. The defaults aren't a bad place to start, but you'll probably want to make some tweaks. You can use one of the built-in presets, if you like, but since not every preset is available in every version, here are some suggestions for getting good results quickly. They provide a good foundation for your own tweaking. Encoder Options: Fast is the default. If you have a newer, faster computer, try medium. If you have an older computer, choose fast or faster. Hit Start. This starts the encoding. You can see the progress in the bar at the bottom of the screen or by opening the queue panel but clicking on the queue button at top right. 6. Workflow Tweaks. There are things you can do to tweak this workflow to your preferences. If you want to batch convert several files at once, hit the Add to Queue button instead of the start button in step 5. If you want to save the settings as a preset to reuse again and save time, open the preset panel if it isn't already there. Then hit the + button at the bottom of that panel and proceed from there with naming and saving the preset. If you want to resize the resulting video smaller, do that in the Picture > Storage Size field. If you want to preview the video, hit the Preview button at top right. 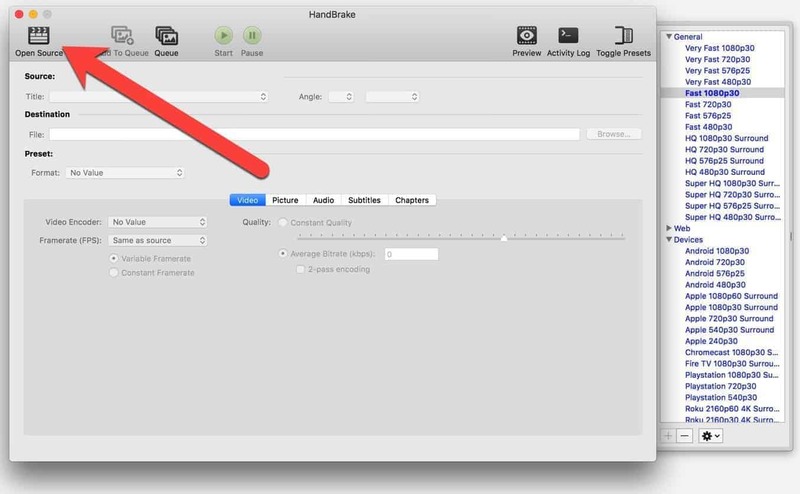 Handbrake has a lot going for it, but unfortunately it's quite limited in the formats you can convert to. The most logical one to use is H.264. But converting HEVC (H.265) to H.264 isn't ideal if you're aiming for the highest quality, especially if you're planning to edit the files in something like Final Cut Pro X or Premier Pro. It's recompressing one compressed file into another compressed file, meaning the quality is going to take a further hit with that second-generation compression. For the highest quality, you'll be better off converting it to something like Apple's ProRes 422 codec. ProRes and other high-quality video codecs like Avid's DNxHD aren't much good for sharing--the files are way too big for sharing on the web conveniently--but the compression is minimal so the quality remains very high. But they're excellent choices if you're going to edit the video and then export yet another version, which will be a third-generation compressed version. The catch is that not all transcoders can encode to ProRes or the other "professional" codecs. And the choices are further narrowed down because you need a transcoder that is coming with its own codecs rather than just relying on those built into the operating system. I've yet to find a good free transcoder that meets those requirements, but there are some paid apps that can do it. Video Converter Ultimate by Wondershare. There are versions for Windows and Mac. Adobe Media Encoder. If you're using Adobe Media Encoder on an operating system that has built-in HEVC support, you'll have no problem--it works (and this whole page isn't especially relevant to you in the first place...). But you can also use Adobe Media Encoder to transcode HEVC files even on an operating system that doesn't have HEVC support. When you import an HEVC file into AME in that case, it will prompt you to install the HEVC codec. There's no messing around--it'll take care of it for you. And then it just works. There are no doubt other apps that can do this (but developers, that's not an invitation to spam the comments with them--thanks!). If you're using an operating system that doesn't yet have built-in support for the HEVC codec and just want to play the files, I recommend VLC as an excellent free, cross-platform app that can work with H.265 (HEVC) files. You can download VLC here. 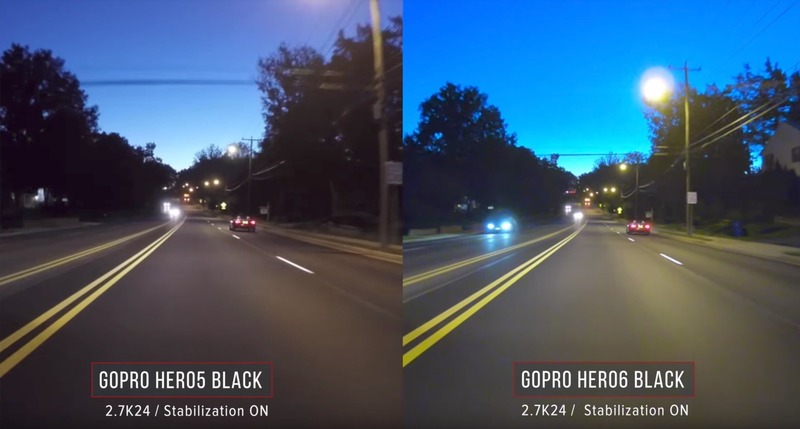 How Well Does the GoPro HERO6 Black's Stabilization Work? It depends on which video modes you're using. In the settings, you can have it record HEVC for everything or what it calls H.264 + HEVC. What that means in this case is that it will record H.264 MP4s for all the modes it can, but there are still some modes that it will only record HEVC no matter what you do. I have more information under the "Filetypes and Codecs" section here. And lower down that page you can find a table that lays out which video settings are HEVC-only. Hi. I have a hero6 black and I’m having hard time to join the videos that have been slipt into charpters. Do you have any tips on what program I can use to easily join those videos without losing the video quality? It depends which video mode you're shooting with. If you're shooting with one of the modes that uses the AVC codec, then here is a quick and simple option. But it doesn't work with the H.265 videos directly--you'd have to convert them and swallow any potential loss of quality. I have a table on which video modes use which codec here. GoPro hero6 black. Handbrake tried to convert 4k 60 to 264. Could only get to convert to 1080 60. Used your info and that what I get. Tried changing settings no luck.